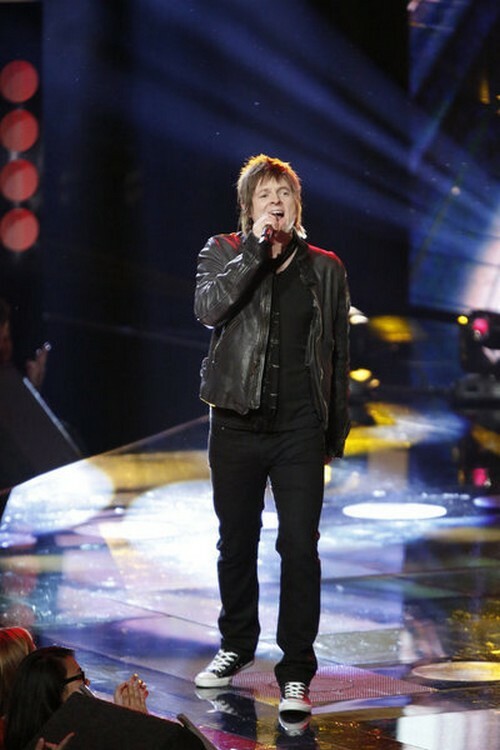 Terry McDermott took the stage tonight on THE VOICE for his Top 10 video performance. Terry sang “Summer of 69” by Bryan Adams. Tonight’s show the top 10 perform live in front of coaches Christina Aguilera, Adam Levine, CeeLo Green and Blake Shelton for America’s vote and a chance to move on to the elite eight. Did you miss tonight’s episode? If you did we watched it and we recapped it here for you. Judges Comments: Christina thought it was a spot on performance. She also loves how he sings on his tippy toes. Cee Lo thinks Terry reminds him of everything that he loves about music. Adam gets angry watching Terry because he so badly wanted him on his team, but that said he loved it.